Hard to find Cards of these Tigers! The portraits below will soon be added to our R319-Helmar series. Schoolboy Rowe is already in the series (card #3) but I couldn’t resist adding this great pose. 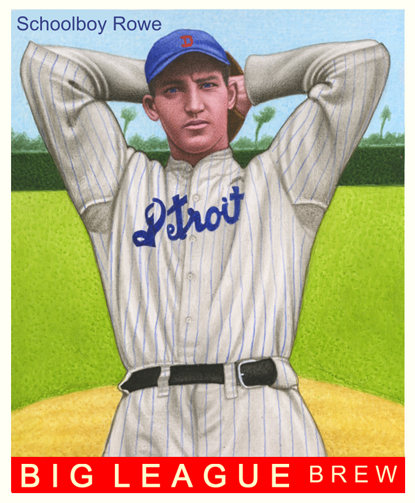 This is the first time, however, that Rudy York will appear on a Helmar card. 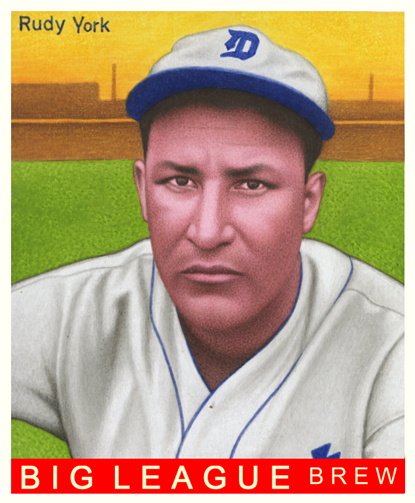 He spent 10 of his 13 seasons in Detroit, finishing with 277 home runs in his career. Great to see Rudy York honored! Great power hitting catcher/1st baseman. Had a bunch of 30-plus HR seasons with less than 100 K’s and a respectable BA. Nice selection!